While I’m not entirely ruling out this ‘all or nothing’ approach since it work for some brands and sellers, I’m a big believe that most brands can profitability grow their business if they do both: have their own branded store and sell on marketplaces (i.e. Amazon). A commissioned study by Forrester Consulting found that marketplaces are likely to boost customer loyalty, increase average order values, and build trust. Several reasons are listed below, but in summary you can use both a branded web store and marketplaces to complement each other. It reduces customer dependency on a single sales channel, but also provides customers an option for additional discoverability and buying features. Many customers are die-hard Amazon customers (example: I buy everything from my toilet paper to cereal on Amazon), so by exposing your products to these regular Amazon users, there’s a higher likelihood, they’ll find you and purchase from you through the channel they’re already comfortable with. Those with less allegiance to Amazon may enjoy the experience of browsing your website and engaging with your brand. Your email subscription offer, remarketing ads and social media profiles make it easier to stay in touch with these more brand-focused shoppers. The point is that many successful brands use both their branded web store and their presence on marketplaces to sustainably grow their business and that’s why the Shopify-Amazon integration was created. A recent study by BloomReach stated that shoppers are twice as likely to start product research on Amazon than Google. As this trend continues, it’s inevitable that customers will search for your product on Amazon, whether you decide to sell on its marketplace or not. Nearly 9 out of 10 customers check Amazon even if they find a product they want directly on a retailer’s site. I have seen dozens of instances where selling on Amazon led to growth on branded sites. 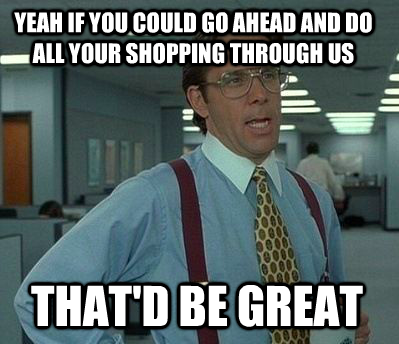 We’ve all been there: just before purchasing an item we pull out our phones to check the reviews on Amazon. While conventional wisdom is that you should focus solely on a “direct” relationship with your customer, and mitigate reliance on retailers generating most of your revenue, as discussed, Amazon is a great sales channel to utilize in addition to your own Shopify site. Often the worry is that Amazon will cannibalize all of your sales but the reality is that you can often maintain a healthy branded website in addition to Amazon. If done correctly, Amazon can become a great complement to your Shopify business very quickly. Amazon can help build a sales funnel of potential customers that can eventually shop on your branded site. Many successful brands have launched on Amazon, and eventually get customers to purchase the same or additional items on their own site. For example, Casper Mattress has healthy reviews on Amazon, but has almost 9x more reviews on their own site. The positive reviews on Amazon give Casper strong credibility for those considering buying on Casper’s site, and it also helps Amazon customers discover Casper’s recommended products. Additionally, there are several value-added services offered on Casper.com that can win over customers from purchasing on Amazon. If you don’t create a listing for your brand on Amazon, than be prepared that a third-party seller can create it.